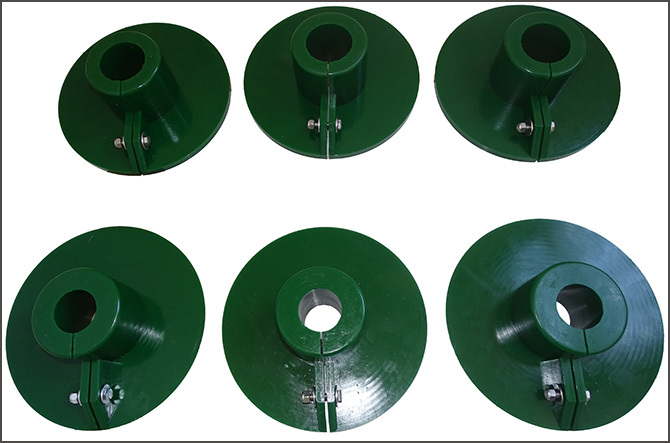 Polyurethane Spray Bar Shield easily attachs to your current spray bar to deflect spray and divert it. 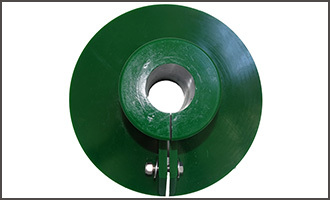 Designed for screening and crushing applications. 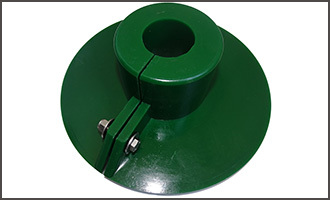 Polyurethane Spray Bar Shields are molded with 85A durometer high performance urethane. Fastening hardware included. Designed to keep water on your deck where it belongs. Simple, inexpensive, effective design, Longer wear life compared to rubber boots. Available Size： 1-1/2" and 2"